While some students in the city may be busy updating their Facebook accounts and asking their parents to buy them the latest gadgets, many kids in the country, especially those in the provinces, are sacrificing a lot just to be able to study. One of those less fortunate children is Rizza Abaño (played by Abby Bautista), an 11-year-old girl who is so motivated to finish her studies even if she has to swim in an open sea just to get to school. Amid the difficulties and even after her elder brother stopped going to school, Rizza remained determined to reach her dream and still believed that poverty is not a hindrance to success. Together with Abby in the “MMK” episode are Arjo Atayde, Abby Bautista, Lito Pimentel, Ana Capri, Makisig Morales, BJ Forbes, and Crispin Pineda. Don’t miss another inspiring TV masterpiece this Saturday in the longest running drama anthology of Asia, “Maalaala Mo Kaya” (MMK), after “Wansapanataym” on ABS-CBN. 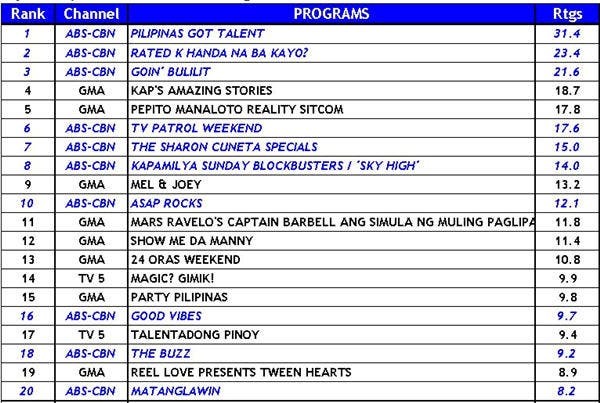 For more updates, log on to www.mmk.abs-cbn.com, follow MMKOfficial on Twitter, and “like” www.facebook.com/MMKOfficial. I hope the young generation of today will learn from this story ? Education is very important to improve once life if they’ll put their mind & heart into it…what they learned in school (College/Universities) will stay with them forever… & sometimes travelling will help them too ( to learn the reality & the facts of life – how to survive)… Life nowadays is becoming difficult & a really struggle in day to day existence…so I hope & pray that they’ll listen & put it in practice & not to ignore…it’s their life & future at stake…Need a lot of patience too.